Mary J. 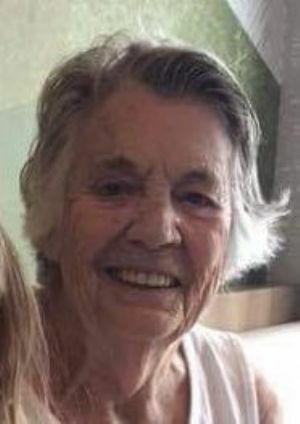 Brunette, age 78, of Ripon, WI, passed away on Thursday, April 4, 2019 at her home surrounded by her loving family. Mary was born in Michigan on June 3, 1940, the daughter of Martin and Irene (Cassell) Caldwell. She was a CNA and an incredible caretaker. Mary enjoyed playing Sudoku and crossword puzzles. Her greatest passion was her family, especially her great-grandchildren. Mary is survived by her children, Margaret, Sandy (Ron), Jeff, and Henry III; grandchildren, Mark (Sheila), Melinda (Joe), Henry IV (Annie), April (Hector), Ashley (Manny), Allen, Robin, and Kia; great-grandchildren, Tiffany, Alex, Lily, Makayla, Jacoby, Adelynn, Julio, Camille, Cora, Daijalese, Demi, Brooke and Gabby; a brother, John; and many nieces; nephews; and cousins. She was preceded in death by her parents, Martin and Irene Caldwell; many brothers and sisters; a daughter-in-law, Tracy; and a sister-in-law, Carol. A memorial service for Mary will be held on Monday, April 8, 2019 at 4:00 pm at Kingdom Hall of Jehovah's Witnesses, Hwy 23 West and Forest Ridge Road, Green Lake, WI. Memorials in her name may be directed to Kingdom Hall of Jehovah's Witnesses, 6107 Forest Ridge Rd, Green Lake, WI 54941.